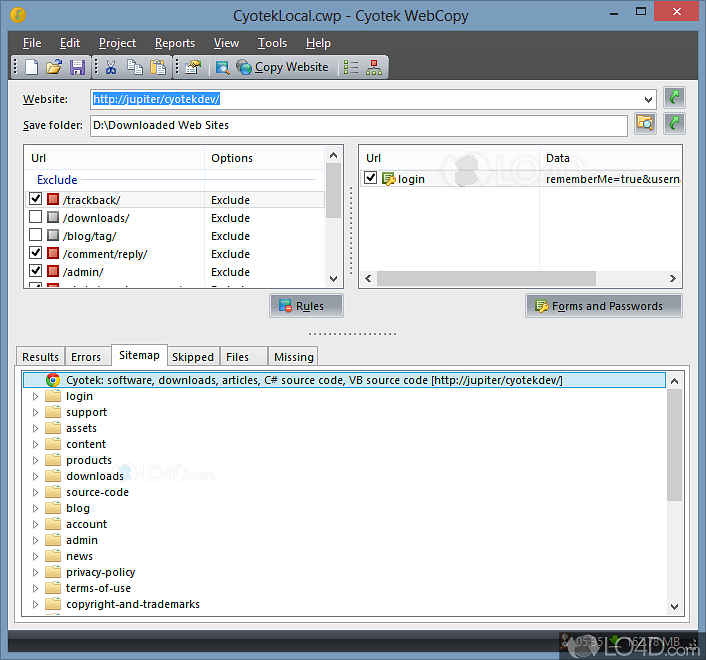 Cytotek WebCopy is a program that can download entire web sites from the web, mainly useful for offline browsing. The program effectively acts as a web crawler, trawling through a web site and then downloading its contents so that they may be viewed at a later time. For ease-of-use, Cytotek WebCopy is quite simple to operate and can quickly scan a web site and download its contents by inputting a URL into the "Website:" textbox. 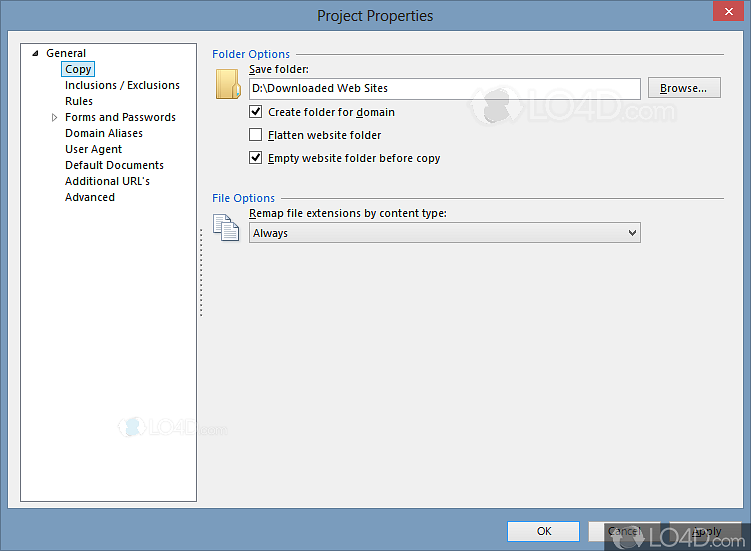 Results will be displayed in the lower pane with information about whether the page(s) have been downloaded or skipped. Cytotek WebCopy works with rules so that web pages, or sections of web pages, may or may not be downloaded during a crawl/scan session. It accepts simple rules, regular expressions (regex), domain aliases, agent strings and more. Cytotek WebCopy can also be configured to input a username or password. After scans have completed, you can quickly access the pages by using the link map viewer. In conclusion, Cytotek WebCopy can be a very useful web site fetching application which could be perfect for times when Internet connectivity is limited like on an airplane or during a holiday on the beach. 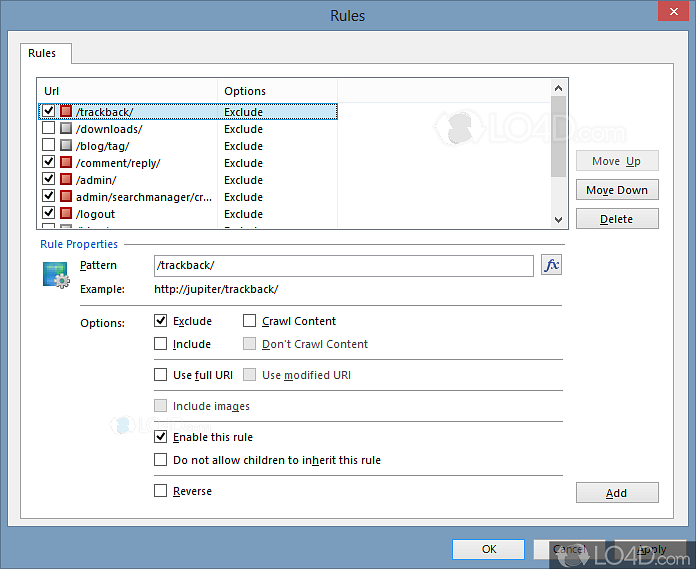 Cyotek WebCopy is licensed as freeware for the Windows (32-bit and 64-bit) operating system / platform from internet utilities without restrictions. 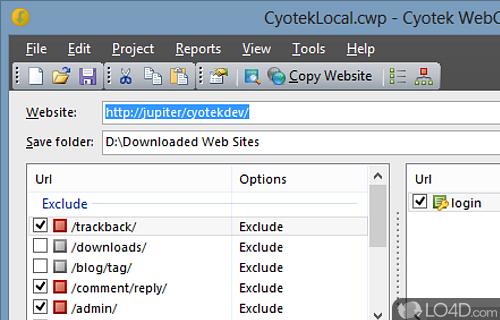 Cyotek WebCopy 1.6.0.559 is available to all software users as a free download (Freeware). Compatibility with this website crawler software may vary, but will generally run fine under Microsoft Windows 10, 8, 8.1, 7, Vista and XP on either a 32-bit or 64-bit setup. 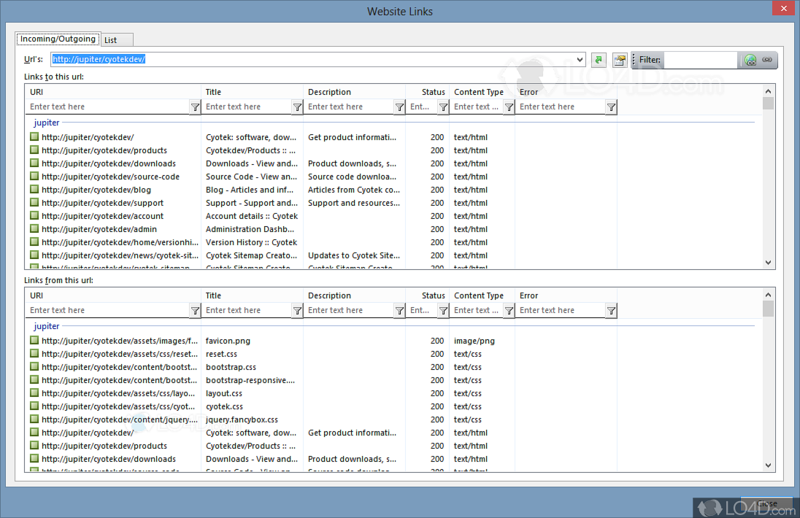 A separate x64 version of Cyotek WebCopy may be available from Cyotek. This download was signed by Cyotek Ltd and distributed as setup-cyowcopy-1.6.0-build-555.exe. We have tested Cyotek WebCopy 1.6.0.559 against malware with several different programs. We certify that this program is clean of viruses, malware and trojans.